Awbury is home to mature River Birches, Paper Birches, Oaks, and Ashes. One of our wetlands River Birches is number two in size in Pennsylvania. A very large, 18th century native Sycamore shelters a ruined spring house on the northwest farm track. Awbury has both native and introduced Hollies. In Spring, pink flowering Cherries, and in Fall the red and orange leaves of Black Gums and Sugar Maples add color. 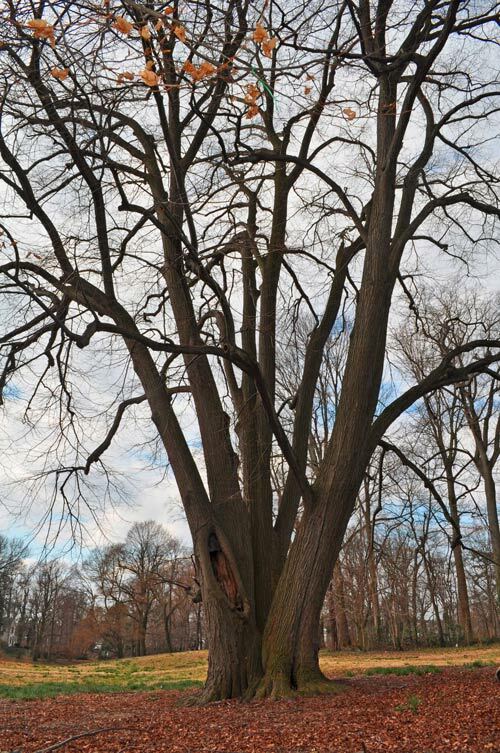 Click here to view our Heritage Tree Tour.